Often people expect Italian Greyhounds to be small versions of Whippets or English Greyhounds – dogs that have relatively low energy levels and that spend most of their time at home snoozing in their favourite bed. Reality check – Italian Greyhounds are NOT small Whippets or Greyhounds and they’re generally full of energy all day long – and well into old age! 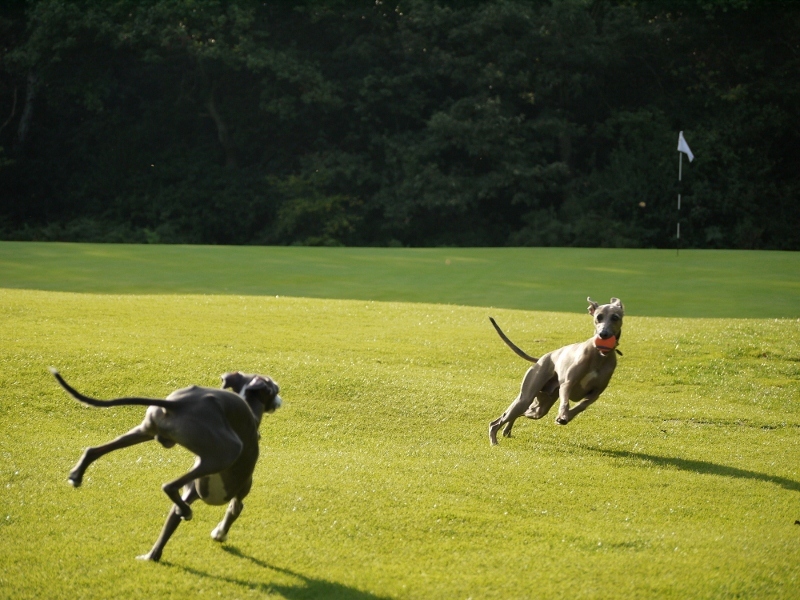 The Italian Greyhounds in this video had just had a 2 hour off-lead run in Richmond Park before the owners settled down to lunch. The Italian Greyhounds were not tired and decided to play IGGY 500. This is an important point as so many Italian Greyhounds ending up with the Italian Greyhound Rescue Charity have been sold by commercial breeders who haven’t really painted an accurate picture of what it’s like to live with these little dogs. Italian Greyhounds are bright, intelligent and curious little dogs who will find things to do if you don’t provide adequate entertainment. Sounds cute? It can be. At other times it can be very annoying. Any Italian Greyhound owner will tell you that if you spend too much time on the phone or on your computer, they will come and tell you what they think of that, either by pestering you or going off and getting into trouble – shredding loo roll is an often cited attention seeking stunt. While Italian Greyhounds are low maintenance in terms of grooming they are definitely high maintenance in the attention stakes. Italian Greyhounds don’t stop, even if they go out for a long walk every day and on that walk cover ten times the ground that you do. They may come home and have a short snooze but it won’t be long before they’re up and about again looking for something interesting to get involved in. They seem only to have two modes: ‘on’ or ‘off’ and the switch is mainly switched to on! Regular exercise is important for Italian Greyhounds but expect them to fly around your home even after they’ve been out for a long walk. As stated earlier, they are not quiet little house dogs and if you are thinking about an Italian Greyhound as a companion dog then be prepared for it to be very much “in your face”! At home you will need to play with your Italian Greyhound at least twice a day for 15 mins. A good selection of toys helps but the important thing is that you interact with your Italian Greyhound beyond putting food in a bowl and giving it a cuddle when it suits you. The Italian Greyhound Club recommends strongly that you meet an Italian Greyhound in a home environment, contact us if you want help with this) before committing to the breed for a very good reason – these delicate and elegant little dogs can be a bit like the bad Gremlins from the movie when they want to be and it can be an awful lot to deal with, especially if you’ve come home from a long day at work and just want to sit on the sofa and relax undisturbed. 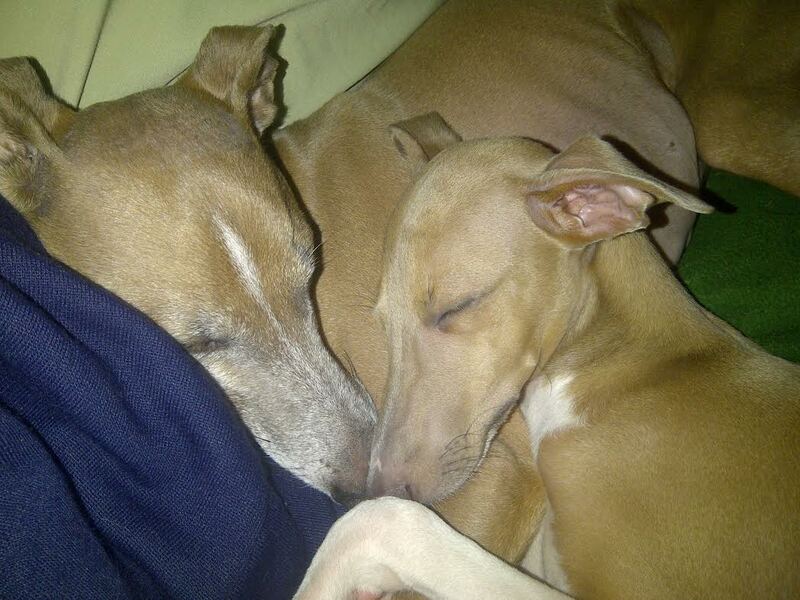 You may be tired but your Italian Greyhound probably won’t be.